Are you concerned about your blood sugar levels? If you’re like most people, you probably already know the difference between a good diet and a bad diet – or at least you may be able to distinguish healthy foods from unhealthy ones. However, one major issue most of us face with our diets is dealing with those unwelcomed, nasty cravings. Caving into your unhealthy cravings may not be a result of weak willpower, but they can tarnish your motivation to carry on eating healthy. Your brain chemistry! Research monitoring the blood glucose levels in people indicates that sugar cravings have little to do with your willpower and more to do with how your brain functions. Your subconscious mind ensures that you are safe. You need it for your survival. In life-threatening situations, like with an approaching car, your subconscious mind takes action and allows your body to make a rapid movement for your safety. In an incident like this, you can’t use your intellect or strategic thinking skills to take action – you just don’t have the time. Similarly, your body needs food for survival. Your brain thrives on glucose therefore, it needs a regular flow of glucose in the blood to function properly. However, in case your blood glucose level drops excessively low, your subconscious mind tries to correct the problem by signalling your body to have a high-carb or high-sugar food. Is this a valid reason to excuse ourselves whenever we have a sugar binge? No. However, it does help to understand the problem in order to rectify it effectively. 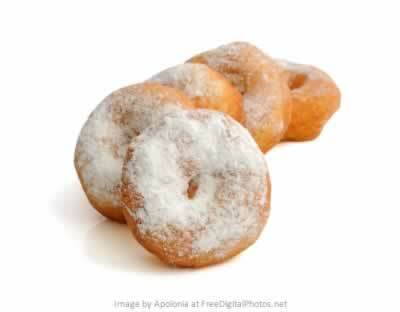 Just one bite may not be enough to satisfy you; therefore, you keep having more and end up in sugar binge. It’s important to understand that consumption of high-sugar foods such as chocolate creates sensations of pleasure and happiness in the body – you must be familiar with this already. This is mainly because such foods stimulate the release of “feel good” chemicals in the brain, hence making it even more difficult to control yourself. You need to hold yourself accountable. You’ve understood the chemistry of your brain, now you need to familiarize yourself with your hunger and craving patterns. Hold yourself accountable for everything and you’ll be able to control your next sugar attack. 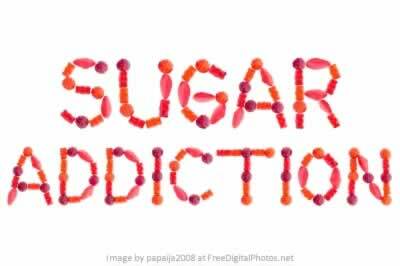 Research indicates that it becomes hard for a person to stop consuming a high-sugar snack without losing control. Therefore, the solution is to opt for complex carbs rather than refined carbs. Refined carbs include the unhealthy carbohydrate varieties including white flour, white sugar and white rice. You can replace them with foods containing complex carbohydrates such as oats, whole grains, quinoa, fruits and vegetables and nuts and seeds. It doesn’t matter where you get your carbs from, they will be broken down to glucose and eventually serve the same purpose. What’s your favourite sugary “treat”? Have you any weird binging habits, let us know by leaving a comment below! Share the post with your friends by using the socual share buttons on the left, thanks. That the average person consumers 24 kilograms of sugar each year. This number is larger in developed industrialized countries and is around 33 kg!